ICICI Lombard, one of India’s largest general insurance company recently concluded its sixth edition of ‘Caring Hands’, an initiative that aims at providing preventive healthcare services to underprivileged children in India. Tapping into the power of digital media, the initiative, that provides a clear vision to India’s future generation, KRDS India helped execute this campaign using latest trends in social media marketing. 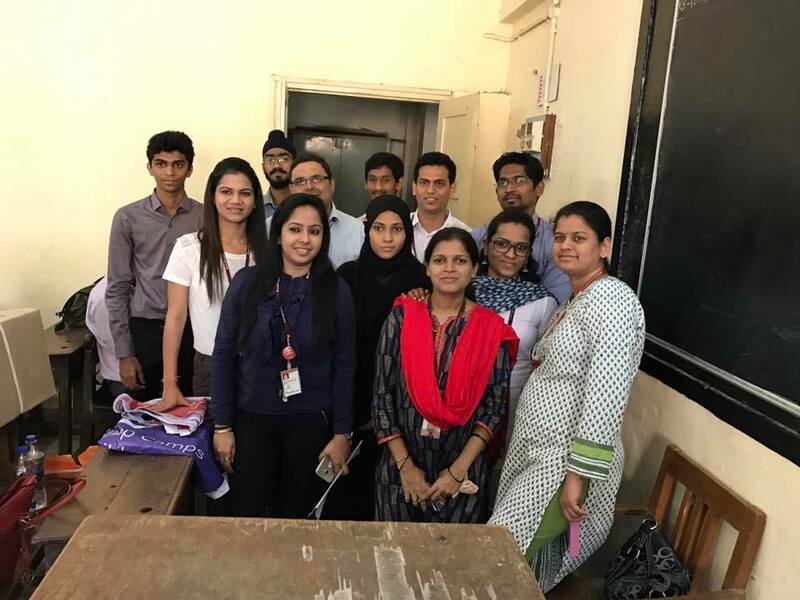 Every year, at the ‘Caring Hands’ event, employees of ICICI Lombard volunteer to set up camps at various schools across the country. The volunteers along with a team of ophthalmologists conduct eye-check ups for the underprivileged children and provide spectacles to those in need. Since its inception, ‘Caring Hands’ has reached out to over a lakh children in nearly 250 schools across India. To encapsulate the essence of the initiative, this year, the activity on social media was primarily executed in a video format. Series of videos chronicled the journey of the initiative and the overall impact it has had on the community. On the day of the event, i.e 9th December, the activity not only garnered eye balls via live-tweets, it also encouraged positive conversations around the cause, thereby trending at no. 1 on the day. Overall, on social media, the campaign reached out to 24.4 lakh people on Facebook, with 3.2 lakh + video views and over 2.17 lakh impressions on Twitter. To kick-start the activity on digital, a teaser video was released around what is about to be launched shortly. The video giving a glimpse of the initiative reached out to over 3.8 Lakhs people on Facebook, garnering 101k views. The teaser video was followed up by a pre-launch video, which gave audiences a further insight on the initiative and the impact it has created over the years. The pre-launch video reached over 7 lakh people, garnering 196K views. On the day of the event, camps were set up across the country, where employees of the organisation volunteered to visit schools, conduct eye-check -ups for children and provide spectacles to those who needed it. The entire event was documented via live-tweets, receiving a great response from the audiences on Twitter. This led to conversations around the cause, leading to #ICICILombard_CaringHands trending at No. 1 spot on the day. Simultaneously, on Facebook, the entire journey from the day was captured and compiled into an album that reached out to over 1.2 million people, engaging with over 78.5K audiences. Achal Deoda, Business Head – India, KRDS India added, ‘The ICICI Lombard Caring Hands initiative by design has great participation from the brand and the employees alike, since its inception. We at KRDS India are very excited that we could further enable this brilliant initiative to be a part of national trend across social media platforms and further add to this great cause by bringing the brand and the audiences together ’. 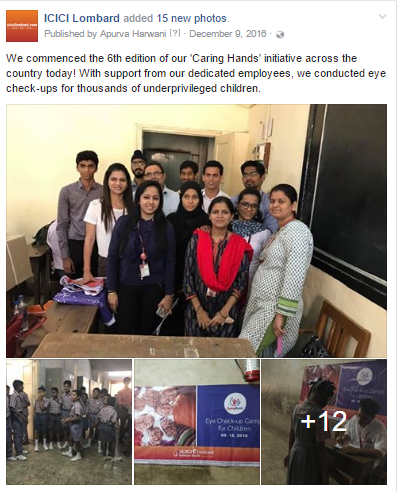 The activity concluded with a post-launch video that comprised of the impact the initiative had this year along with bytes from children across centres and how ‘Caring Hands’ affected their lives. This year, the initiative reached out to 33,386 children across the country and provided spectacles to 4,802 children with a poor vision. With ‘Caring Hands’, ICICI Lombard along with its employees that volunteer to strive to contribute to the betterment of the society, continue to embrace its commitment to communities across India. KRDS India is a part of the KRDS Group, a network founded in 2008 in Paris with a headcount of over 150 employees at present and over eight offices across Europe and Asia (France, Singapore, India and China). 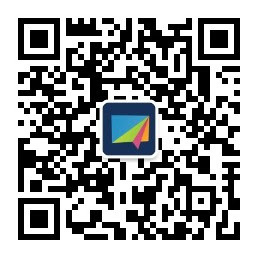 KRDS has a reputation for being one of the foremost Facebook Marketing Partners since 2010 and specializes in designing social media strategies, integrated applications and developing microsites. Community building and management along with social ads management is another forte for their specialization. At the 2013 “Facebook Innovation Competition”, KRDS Group was the only non-American contestant to have won among the 260 agencies. KRDS Group has handled over 2000 social campaigns across 30 countries for some of the world’s most prestigious brands, such as DBS, AIA, Peugeot, Danone, Microsoft, LVMH, Unilever, Veuve Clicquot, Nestlé, Tag Heuer, Air France and L’Oréal. KRDS India presently handles campaigns for brands like Bata India, SBI Cards, ICICI Lombard, Adiya Birla – More Retail and Lifecell International. KRDS Group counts Ardian (ex Axa Private Equity) as an investor and is part of R3 Social 40 – an initiative from global consulting firm, R3, to showcase forty of the world’s best Social Media agencies across globe. ICICI Lombard General Insurance has been declared the ‘Most Innovative Health Insurance Company of the Year’ at ‘The 2016 Frost & Sullivan India Best Practices Awards’. It has also been conferred with the Association for Talent Development (ATD) Best Award 2016 for the fourth time. ICICI Lombard has won the ‘Claim Service Leader’ (General Insurance – Large category) and ‘Technology Innovation’ Awards at the Indian Insurance Awards, 2016. The company received the ‘Claim Service Leader’ award for its excellent track record in claim settlement across product segments. It was given the ‘Technology Innovation’ recognition for its technology driven initiatives especially the ‘RiskInspect’ App, a mobile application developed to capture risk information of low sum insured property risk. ICICI Lombard General Insurance has been adjudged the ‘Non-life Insurer of the Year’ at the coveted Outlook Money Awards, 2015. Non-life Insurance as a category has been included for the first time at the Outlook Money awards, which were introduced more than a decade ago. It is a matter of pride that ICICI Lombard has been chosen as the Winner in the introductory year of the award category. ICICI Lombard General Insurance has been conferred the coveted ‘Golden Peacock Corporate Social Responsibility Award 2015’. The award recognizes the company for it continuous contribution to CSR and especially for its ‘Caring Hands’ initiative, an employee volunteering CSR program. ICICI Lombard was adjudged the award ‘Golden Peacock Innovation Management Award, 2015’ for demonstrating innovation across multiple functions of its business operations and promoting the ‘culture of innovation’. The award ‘Golden Peacock Award for Business Excellence, 2015’ recognizes best management practices that act as the basis for business excellence. ICICI Lombard General Insurance received the award for its robust risk management practices and customer centric initiatives. ICICI Lombard was conferred with the ‘E-Business Leader’ Award in the General Insurance Category at the 5th annual edition of the Indian Insurance Award 2015 for its performance, growth, product and market innovation, customer service and technology. ICICI Lombard was also named as the ‘Best Travel Insurance Company’ by CNBC Awaaz Travel Awards 2015 presented by the Chattisgarh Government based on an online and on-air survey.